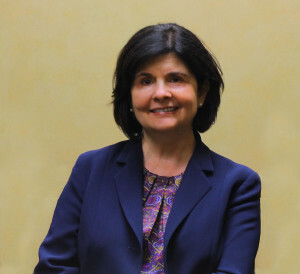 Practice Areas: Long Island Family Law Attorney Darlene practices primarily in the areas of matrimonial, family, and collaborative law, along with mediation. Professional Experience: Darlene has many years of experience in matters related to matrimonial disputes both as a litigator and mediator. Prior to her career as an attorney Darlene was a paralegal at several Long Island firms where she assisted attorneys in litigation matters. Darlene also practices collaborative law, where both parties agree to work towards a settlement without the necessity of litigating. Admissions: Darlene is admitted to practice in New York State. Professional Associations/Community Service: Darlene is a member of the American Bar Association, New York State Bar Association – Family Law Section, the Suffolk County Bar Association, New York Family Law Inns of Court, the Nassau County Women’s Bar Association, and the Nassau County Bar Association where she sits on the Matrimonial Law Committee. Education: Darlene earned her juris doctorate from Touro College, Jacob D. Fuchsberg Law Center and a B.B.A. degree in Business Administration with a focus on Finance from Hofstra University. If you have any questions regarding a legal issue, contact our experienced Long Island Family Law Attorneyy.